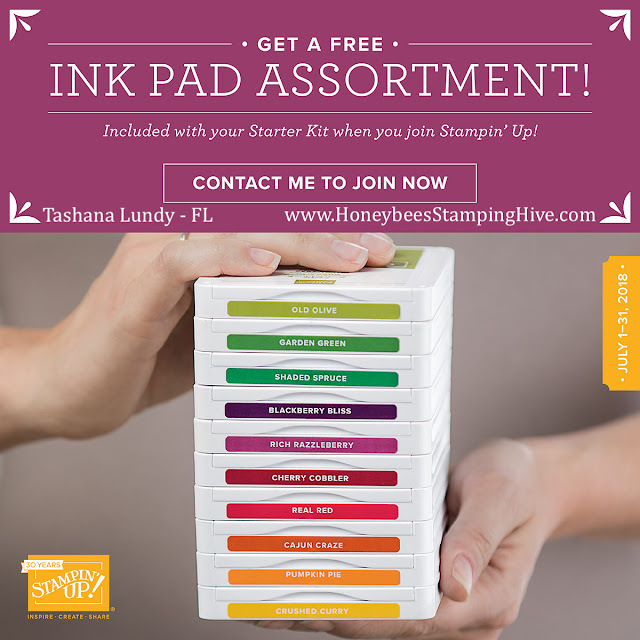 Honeybee's Stamping Hive: HAPPY BIRTHDAY! Today is my birthday. I am so excited to have been blessed with another year of life. Time goes by so fast, enjoy it while you can. Speaking of time...you only have 2 days left to take advantage of the 10 FREE ink pad assortment and the Buy 3, Get 1 FREE DSP promotions (Ends: July 31, 2018). You can find information by clicking on any image at the end of this post. As always, thanks for Buzzzing by the Hive today. Until next time....Buzzz you later. I would love to have you join my team. Click the image below for more information. Join in on the Paper Pumpkin fun. Don't miss the great savings! Subscribe HERE.